After it seemed earlier this month that the Christian Street Baptist Church was designated historic, saving it from developer Ori Feibush’s wrecking ball, officials said Monday that it was actually eligible for demolition. 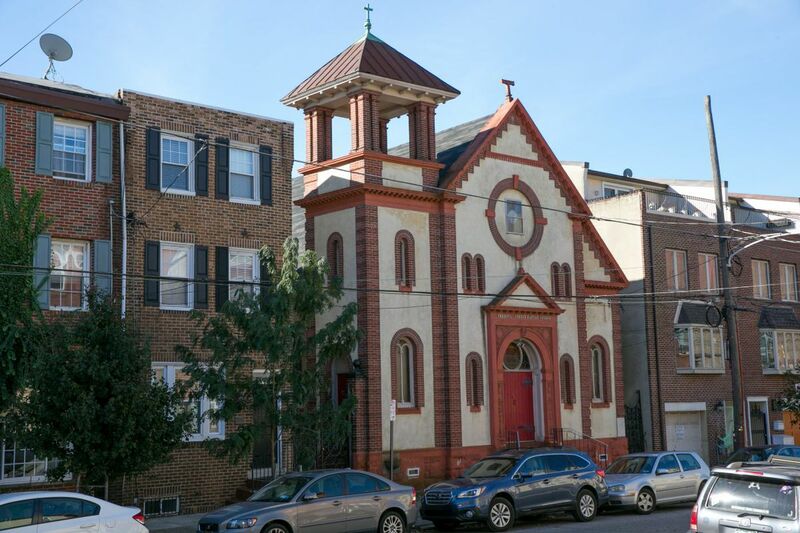 When the Christian Street Baptist Church was designated as historic earlier this month, it served as a big win for preservationists who have been ramping up a fight in recent years to preserve Philadelphia's sacred places. Turns out, it lasted for only 11 days. In a surprising announcement Monday, the Philadelphia Historical Commission told the church's pastor, developer Ori Feibush, and preservationist Oscar Beisert that the Bella Vista church was actually not designated historic at its Nov. 10 meeting — despite the 5-4 vote, with two abstentions, that supposedly sealed the church's protection. The confusing change comes from a misunderstanding of the rules that govern Historical Commission votes, according to Paul Chrystie, a spokesman for the commission. While the body of commissioners is governed by Robert's Rules of Order — a standard manual for procedure — during most proceedings, those rules do not apply when the Historical Commission takes a vote. That's when the commission's own rules take precedence. According to the commission's rules, in order to adopt a motion, a majority must be reached by all members present at a meeting — including any members abstaining. So, with 11 members in attendance on Nov. 10, six votes were needed for Christian Street Baptist to achieve historic designation. Yet with two members abstaining, only five votes supported preservation. The sudden reversal means that demolition of the church is back in play. Feibush, the developer who earlier this year put the property under agreement with plans to raze it and build five townhouses in its place, said Monday that those plans had been resumed. Last Thursday, Feibush filed for a zoning permit to demolish the property. "Last week I had a conference call [with the church], and we agreed to enter back into a contract," Feibush said. "I filed demo permits and asked the church to list [the property], as well." Feibush said he hopes to start demolition of the property, at 1024 Christian St., "by early 2018." According to Karen Guss, a spokeswoman for the Department of Licenses and Inspections, a building permit for the demolition also must be approved after the initial zoning permit for demolition to begin. With Feibush's plans back on, the church may finally get the financial compensation it was seeking from the sale. The church listed the property in June at $1.5 million — money that, the church's pastor, Clayton Hicks, said, could be used to expand its ministry and provide funds for the next building. Feibush indicated in October that he had paid about $1.4 million. Neither Hicks nor Jeffrey Hill, a church representative, could be reached for comment. For Beisert, one of Philadelphia's most prominent preservationists, who submitted the historical nomination for the church, the change in decision was "very strange." "After 10 or 20 years working with the commission, the people in the room should be aware of these rules, should know them, and be able to refer to these things during a meeting," Beisert said Monday. "That's a fairly simple thing to know." "Until the city develops some sort of tax incentive, we are going to continue to lose churches," Beisert continued. "Just one church after the next is getting demolished." On a conference call with reporters Monday afternoon, both Chrystie and Jonathan Farnham, the historical commission's executive director, said such a mix-up was the first case that either was aware of in the more than 15 years that Farnham has been on the commission. "For the most part, people do not abstain," Chrystie said during the call, adding that it was unclear why either of the two commissioners did so Nov. 10. "Clearly," Chrystie continued, "we wish that we had some some historical perspective so that … this error was not made." Chrystie said anyone interested in submitting a new nomination for preservation can do so. Still, even with a new agreement of sale negotiated and permits filed on Thursday last week, Feibush, by Friday afternoon, had publicized the property's listing on Facebook, asking the public to share it "far and wide." Asked why he did so when he already had the property under contract, Feibush said Monday that he was offering someone the chance to "step into my shoes and preserve [the property] if they so wish." "If somebody wants to raise the money or has an alternative use, they are welcome to step into our shoes for zero dollars profit, and they can take the contract," Feibush said. "By all means, they can certainly do that."